At what age should you start teaching your child to be independent? Well, according to many experts it begins in the toddler years. For many parents, letting their child, especially their toddler, make their own decisions feels a little scary. Surely at this age they aren’t the best judge of what they should and shouldn’t be doing? You’ve spent the past couple of years feeding, dressing, bathing and generally taking care of your little one and letting go of that mindset is hard. To you, they will always be your baby, even when they are mid-tantrum, or running around causing havoc, surely there isn’t a lot your toddler can do for themselves anyway? Well, you might just be surprised! Studies show that doing too much for your toddler can be detrimental to their development. It can lead to issues with confidence, self-doubt and attachment. Allowing and encouraging them to be a little more independent however, really helps them to grow into more confident, self-aware adults who are more than capable of making their own decisions. It may not seem like a big deal to you, but small acts of independence can really make all of the difference to your little one. The main thing they’ll develop through independence is confidence. That in turn helps them develop a wide range of skills that will aid them as an adult. The instinct to protect your little one is always going to be there. It’s natural to want to take charge and protect them against the world. However, if you want your toddler to grow into a healthy, happy adult, it’s important to let them make their own mistakes. Let them explore – Around the age of two, your little one will be in full exploration mode. They are inquisitive and love discovering new things. Letting them explore within your back yard helps to start the independent journey. Of course, you should supervise them as you’re probably already aware by now that toddlers can be very clever! So there’s no guarantee they won’t figure out how to open a gate for example. The key here is to let them explore without pouncing when you think they may encounter a problem. For example, a little fall is natural and will teach your little one to be careful as they run around. Unless there is a high risk that they could seriously injure themselves, avoid stepping in. You can’t expect your toddler to learn about the dangers of things if you don’t let them discover these dangers by themselves. Allow self-dressing – Now this isn’t something toddlers need much encouragement with. Once your little one reaches the age of two-three, they’ll start wanting to wear exactly what they want to wear. To you, their choices may seem absurd, but allowing them to wear whatever they want (within reason) actually has more of a positive impact on their development than you might realize. For example, not only does it boost their confidence and allow them to make their own decisions, but it also teaches fine motor skills too. They’ll need a range of skills to be able to dress themselves. To start, they’ll be comfortable putting on t-shirts or dresses. Anything that doesn’t require buttons or zippers will be easy enough for your toddler to manage. One of the key things to remember here is to be patient. Your toddler will be really proud of the new skills they are developing. Therefore, the art of getting dressed is going to take a little longer. If you’re worried about being late because your little one takes too long to get dressed, ensure they start getting dressed earlier. If you end up rushing and stepping in to dress your little one, it could slow down their development. Allow them to help with chores – By the time your toddler is almost three, they’ll want to start doing a lot of things by themselves. While they may not have the skills required to do complete chores and tasks, you can separate things down into easily attainable goals. For example, toddlers especially like being involved in making their own meals. At breakfast time, allow them to bring you their bowl. You add the cereal, but allow them to pour their own milk using a small toddler friendly measuring jug or cup. You can also start teaching them about household chores. Getting them to pick up their toys and put them in a toy box is a great example. Not only does this teach independence, but it makes your life a lot easier too if they know how to put things away once they’ve finished with them. Obviously there will be times they don’t do this, but even just some of the time will help! These are just three tips to promote independence. It’s so important to fight the urge to want to do absolutely everything for your toddler. This is the key age where they start to become their own little person. They want to do things for themselves and become more independent. It’s up to you to allow them to do this in a supervised environment. The inquisitive nature of toddlers is one that should be admired. These tips would help in their personal development. Sometimes, i see parents always wanting to do everything for their children (toddlers) which could be detrimental later. Confidence and independence should be encouraged and parents must ensure that to do everything possible to give them a platform and all necessary help needed to become independent. As the grow and develop into adulthood, chances are that they will be able to make informed and right decisions that would be beneficial to them. Very well said, Dparagon. We should, indeed, allow toddlers to explore because they are at an age where they’re curious about almost anything. They are learning so we should encourage them. I believe that being inquisitive is a sign of intelligence. So for parents with toddlers who may find it annoying sometimes, let them be. You’ll be glad you did. 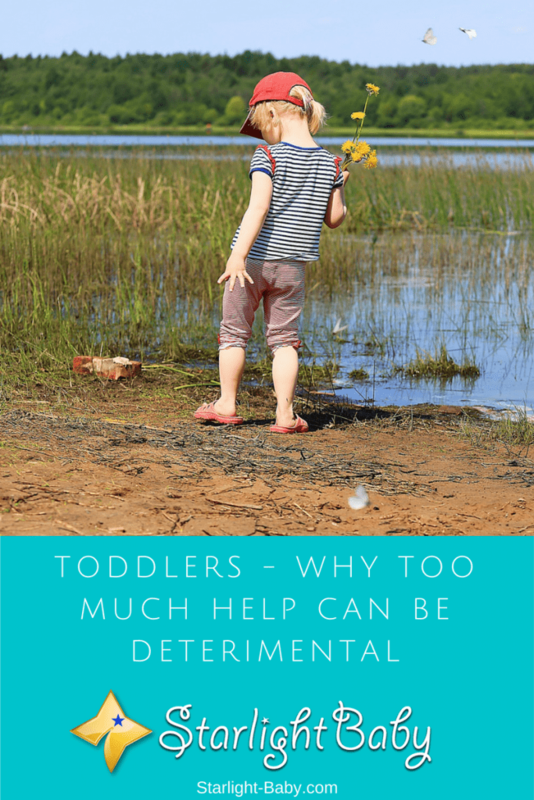 I think that too much help is detrimental for our toddler. We must build his/her confidence and let the child take its own decisions in smaller things like dressing, what toy they want, what they want to eat, where do they prefer to go out, etc. Letting the child take decisions will build trust in its character and powers. Yes, wallet, I agree. It’s really important to let them choose or decide for themselves, otherwise, it could lead to a tantrum. Some might argue that allowing Kids who are just toddlers make decisions on their own isn’t responsible. But I agree completely with your conclusion. Am not saying toddlers should be allow to make their every decisions, but it doesn’t hurt to let them make a few minor decisions, how bad can it?. I mean, their just toddlers. When I was kid, I remember serving my Mum with many uncomfortable moments of silence for dismissing my choice on matters like some of the things you mentioned above. We all know that toddlers and kids generally don’t like to be treated like the kids they are. Allowing them have a sense or feeling of independence is indeed a good step. True, toddlers do want to feel they’re in control. They like acting as if they’re adults. This is okay as long as it will not put them at risk. And as always, their decision-making should be under adult supervision. Allowing them independence will develop their decision-making ability and responsibility. It is very satisfying to see our children do some independent choices on their own. Even with what they will buy for somebody’s birthday presents, or the clothes they want to wear , etc. We , as parents, just need to guide them and ensure that they will have their own identity. By letting them do on their own slowly by slowly, we teach them independence. Assigning them do some little household chores gives them a sense of responsibility and later on will be beneficial for us and for them as well. I totally agree with what you’ve said. So true. The tasks may seem simple in our eyes, but for the kids, it’s a big responsibility for them to be able to decide for themselves. I really enjoyed reading this article on ways parents can create that mind of independence on their kids. I have been the person that got that freedom to take certain decision while growing and that really made me a mature person at this stage of my life. That is so true indeed. Being allowed to decide for oneself when still young makes responsible and mature adults. I was also trained at an early age and it has helped me a lot as an adult to become responsible and to care for the welfare of others. Over dependence on the parents by the toddler is not a good thing, one it makes them almost helpless on their own and as well being too much stress on the parent, because virtually everything that the child needs must be attended to by the parent. This is not a good thing to the parent as well as the child. The child would probably lack self esteem and courage to do anything successfully on their own. But if you get them to do some little thing on their own, they would be thrilled to be active in most things they found themselves even as they are growing up, and not the type that shy away from doing anything being absolutely lazy. I absolutely agree with what you said, Martinsx. Being over-protective of our kids and constantly preventing them to do things on their own make them rely heavily on the parents, and could really become annoying to the parents later on. Imagine a child asking his/her parents to hand him or to do things for him when he is a bit older, things he can do on his own. It could be really stressful. So parents should allow kids to be independent. You are very correct @Elsa, a parent being overprotective and having his/her child to rely on them in more than 80% scenarios would be the one to pay the price or suffer the consequences of their actions on the long run. Imagining when an adult cannot take care of his own health when sick but would have to call his/her parents to come and attend to him/her. This is way beyond a normal thing to do. Currently, my baby is learning to walk. He stands through a support and then leaves the support and beings to take baby steps. He then suddenly falls. I let him fall, by letting him fall, I am trying to teach him to learn from failure. When the baby is able to stand on his own, even for a few seconds, I can see a sense of achievement on his face. I cannot explain his happiness in words. I am trying to teach him independence. That is a good way to start it, vinaya, along with close supervision to prevent any bad falls. A child accomplishing what he wanted to do would surely feel proud and happy of his/her achievements; it would make the child feel he/she can do anything, makes him/her independent and responsible. The same thing goes for adults, except that the responsibilities are much bigger. But we do feel the same feeling of success once we achieve something.